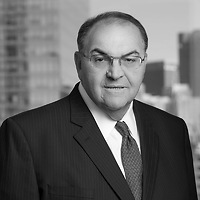 William F. Kennedy, chair of Nutter’s Public Policy Group and a partner in the firm’s Corporate and Transactions Department, was featured in The Boston Pilot in the article, “Catholic Charities Spring Celebration raises over $1million.” Bill received the Catholic Charities “2017 Justice and Compassion Award” at the Catholic Charities of the Archdiocese of Boston Spring Celebration. The Justice and Compassion Award honors an individual who embodies the values of charity, compassion, and service to those in need. Over 500 people attended the awards ceremony, including Cardinal O’Malley, Governor Baker, Senator Paul Kirk, and Deb Rambo, president of Catholic Charities.